Such has been the success of the latest vintage release from Bollinger, the Champagne house could have easily sold three times the quantity allocated to the UK. During a discussion with the drinks business in Aÿ, the home of Bollinger in Champagne, a spokesman for the brand said that the 2008 release had been so demanded by UK wine merchants, the house could have sold 300% more than had been allocated to the market. Released on March 11, the Champagne was snapped up by the trade, keen to take advantage of the belief that the 2008 harvest is widely considered as the best vintage of the noughties after 2002, and the fact that the Bollinger prestige cuvée had been given a 98 point score by Richard Juhlin. 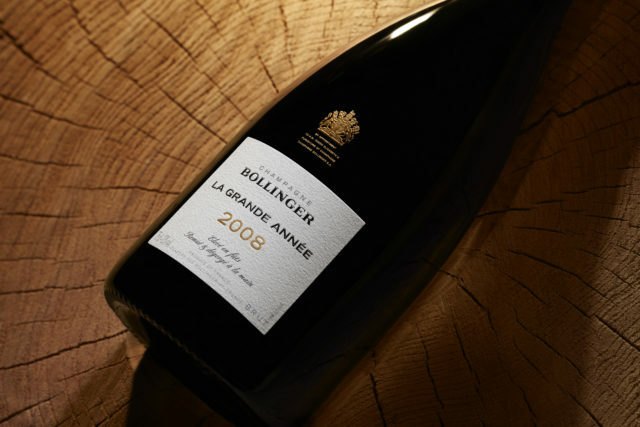 Aside from the quality of the grapes from the 2008 vintage used in the latest Bollinger Grand Annee, the fizz differs from other previous releases in that it is the first Grand Annee to come in the unique, patented, Bollinger bottle – which was first unveiled in May 2012 for the brand’s Brut NV. Speaking at a press launch for the vintage-dated cuvée in Aÿ on 26 March, Bollinger cellar master Gilles Descôtes described the Grand Année as “a genuine hand-made Champagne”, pointing out that the wines used for the fizz had been fermented in barrel, before being aged in bottle under cork, riddled by hand, and then disgorged manually. As for the vintage, he called it “legendary”. La Grand Année 2008 was released to the UK trade at £800 per 12-bottle case. It is a blend of 71% and 29% Chardonnay from 18 crus: mainly Aÿ and Verzenay for the Pinot Noir, Le Mesnil-sur-Oger and Cramant for the Chardonnay. It comes with a dosage of 8g/l.